I've mentioned a couple of times before that we're off to Berlin soon. We're heading over on the first weekend in February and I am so excited for a good ol' city break! The main reason for our trip is to go and see Bon Iver perform at the Tempodrom, but we have four nights in the city so we have plenty of time to do lots of exploring. Sam and I have already visited once before, back in 2012, so we have done a lot of the big sights. We're hoping this trip can be all about eating good food, checking out the cool neighbourhoods and just soaking in the vibe of the city. 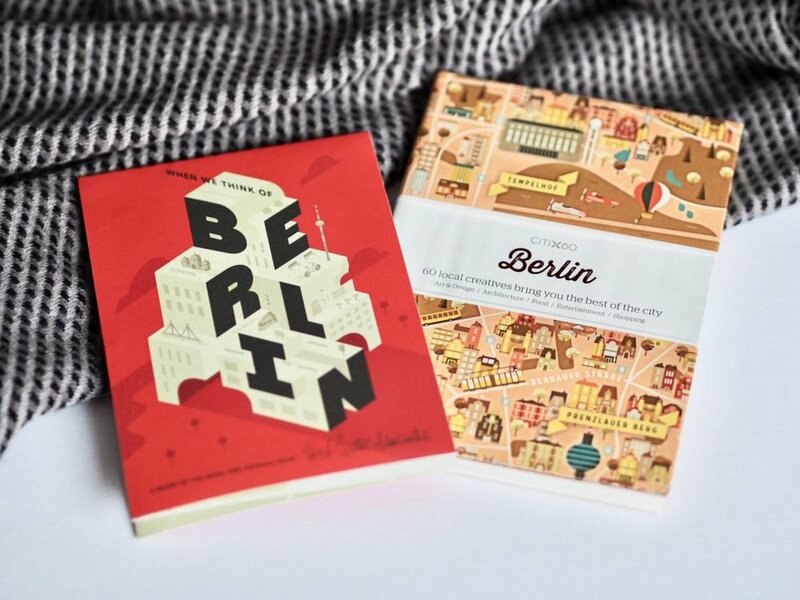 I've been doing lots of research over the past couple of days and have put together a little Berlin bucket list. Let me know if there's anything else we should add! This place is a bit of an iconic Berlin foodie joint but unfortunately we didn't get chance to try it out last time we were there. We're both big burger fans so it will definitely be high on our list this time! One cool thing about Berlin is that there are tonnes of vintage photo booths dotted all over the city that you can use for only a couple of euros. I really want to try and find some and get some momentos of our trip. Berlin is such a creative city which means that it's teeming with cool homeware and design stores. I'll be taking advantage of Olivia's recommendations as she is the queen of Insta-worthy shops! Every Sunday there is huge flea market held at Mauerpark in Prenzlauer Berg and I've heard really good things about it. I love collecting unique bits and pieces for our home so I'll definitely be checking this out. We did a lot of the big museums when we visited last time, but one place we didn't get chance to visit was the Museum of Things. It's apparently filled with tonnes of objects that are important in terms of design history so it should be really interesting. You can't beat a good city view so I definitely want to go up the TV Tower - we didn't get round to it last time so it's firmly on the list for this trip. There is a bar at the top so I think it would be fun to enjoy a drink up there. There is little Sam and I love more to do than checking out an epic food hall and so Markthalle looks right up our street! We'll probably aim to have lunch or dinner there one day. We didn't get to experience much of the Berlin nightlife on our last trip as we were so tired from all of the walking and exploring, so this time checking out some of the cities best bars is high on our agenda! Have you visited this city before? What else do you think I should add to my Berlin bucket list?